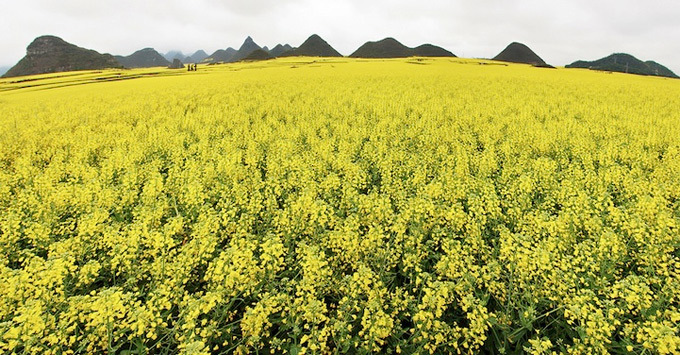 The county of Luoping is known for its breath taking view when its fields of canola (also known as rapeseed flower) are in the full bloom. 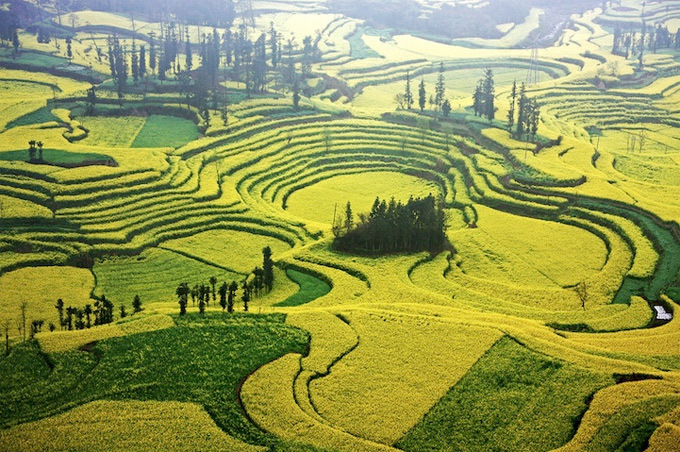 Hills scattered on the yellow surface of rapeseed flowers and the refreshing essence of spring makes visitors hypnotized. 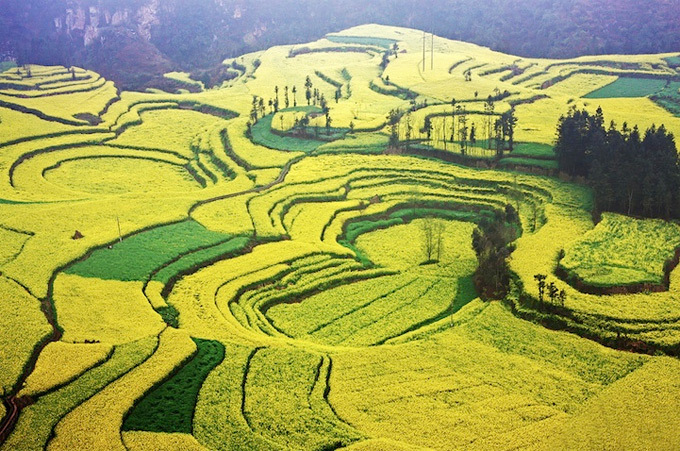 This spectacular sight is located near where Yunnan meets Guizhou and Guangxi and it is about 240 kilometers east of Kunming which is the capital and largest city of Yunnan province in Southwest China. 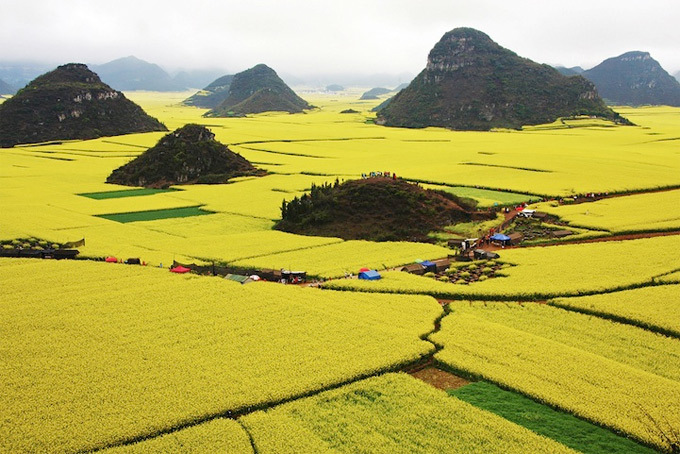 China produces 15 million tonnes of rapeseed a year to feed its only internal demand for the oil produced by the crop for both cooking and as a bio fuel, so these fields can be found all over the country. However, Luoping is the leader when it comes to attracting visitors. 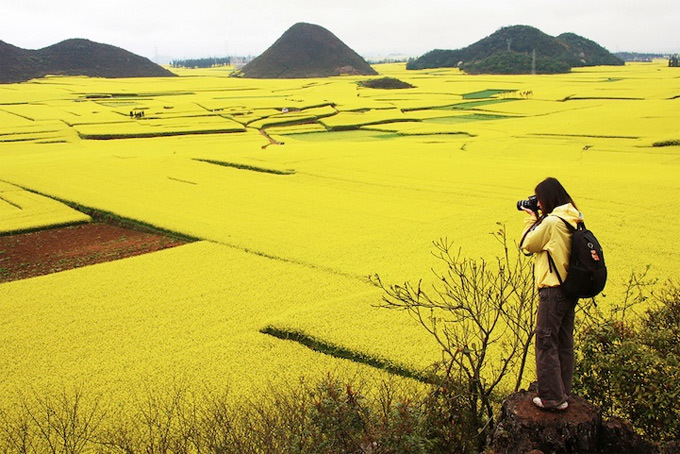 The "sea of yellow" is a Mecca for the photographers. The majestic photos in turn, draw more and more tourists to this beautiful rural photographic haven. 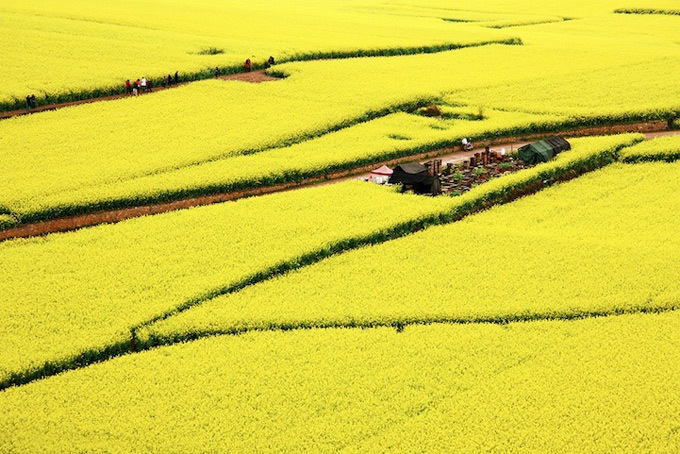 This haven happens only few months every year but since the bloom depends on temperature, and the rapeseed flowers are planted all over China, they bloom at different times of the year. Also, humans are not the only ones who are attracted to this golden beauty. It seems like bees have an artistic eye too. 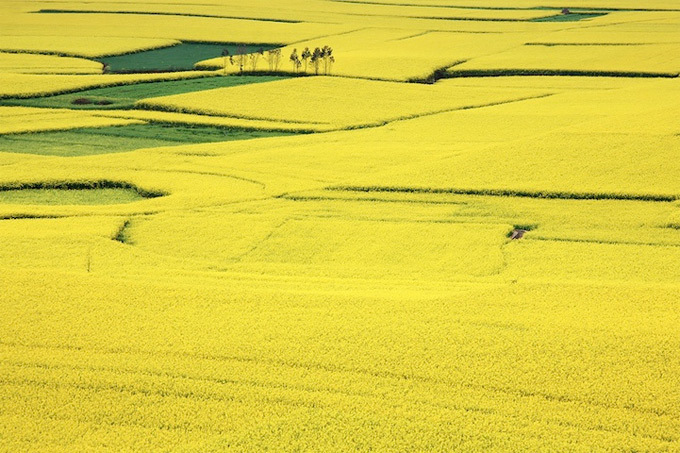 The bees feed on the rapeseed flowers and there is a lot of them, which is a reason for beekeeping and honey processing. The photographer Anne Berlin says: "When I at first left the car, I was so bowled over from what I saw, that for a short time, I even forgot taking photos. I never saw something comparable. It was so amazing. When I walked through this fabulous landscape, I felt like Alice in Wonderland. Millions of busy bees were buzzing around me. 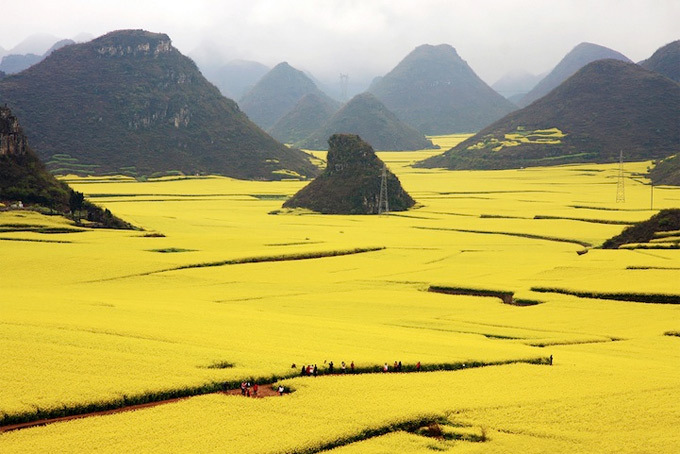 It was like swimming in a yellow sea of flowers."